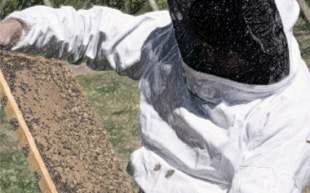 Some beekeepers infer the origin of the swarming fever from external environmental factors, such as the above-mentioned size of the hive area, level of nutrition, lack of air, lack of work, and overheating. They do not pay attention to internal factors. Without exaggeration, we could say that many people see swarming incorrectly as a disease which can be “treated” by adjusting these conditions. This view, however, is biologically untenable because it implies that if bee colonies lived in optimal conditions, without swarming-inciting environmental disturbances, they would have become extinct. Without swarming they would not be able to reproduce. Somewhat more advanced are theories that consider internal factors of the colony as the main cause of the development of swarming fever. These include the disparity between sealed and open brood, the lack of the queen substance or hormonal changes in worker bees. Even these theories, however, require necessary additional trigger stimuli from the outside. These include the queen’s restricted stores during spurt flow so that there is a disparity between the sealed and open brood. These theories very accurately describe the processes taking place, but they do not capture the very nature of these processes. If, for example, the queens were not constrained by the lack of space during brood rearing, then, by today’s theories, there would be no disparity between the sealed and open brood. Bees all around the world would stop swarming and would become extinct. Optimization of the conditions for the queens’ egg laying should, therefore, paradoxically, lead to the extinction of the species. And such a claim is untenable. From a biological point of view, there is no doubt that the reproduction of all organisms is due primarily to their internal genetic programming and external factors come into play only in the second order. This is certainly the case of bee swarming as well. While it cannot be denied that external factors can have a slight influence on this process, it cannot, however, be also claimed that they are directly responsible for the outbreak of this phenomenon. There must be a single trigger factor coming directly from the colony itself. As follows from the published researches and calculations, this factor is the asymmetry between the reproductive investment of the queen and her worker bees while taking care of the next generation of offspring. If today’s multifactorial theory of swarming was right and swarming was indeed a multifactorial phenomenon triggered by a set of external factors of varied intensity, the honeybee as a species would have been long extinct. In the millions of years of the existence of this species, there would certainly be a period of several consecutive years without the optimal combination of the necessary factors triggering swarming. This would disrupt the reproduction of the species, and the extinct honeybee would have never been even known to the modern man. The last important criticism of today’s recognized theory of swarming is the fact that its interpretation of this phenomenon is grounded in generic characteristics typical of bees of the genus Apis only. To date there has been no universal theory describing the swarming of other groups of eusocial insects, e.g. ants and termites. Ant, wasp or termite queens are not constrained by food in egg laying (in cells of wasp combs we find no reserves) and none of the other phenomena mentioned above, and considered by many authors signals for swarming, can be applied to these societies. Subterranean termite nests certainly do not overheat, and anthills are apparently not crowded with latent swarm workers recruiting others for swarming. Yet even these insect colonies reproduce by swarming (releasing sexual individuals in the surroundings), although this swarming is of a somewhat different kind than the swarming we see with honeybees. The main difference is that infertile workers do not participate in it.